END THE CYCLE OF CHAIR FAILURES IN THE WORKPLACE! Learn to Select the Right Chairs for Your Organization! Pace yourself through four learning modules to develop your knowledge and skills in chair assessment and selection for your employees. Why chairs are foundational to good ergonomics. How and why people sit the way they do. How employees use the chairs you’ve provided them incorrectly and why. How to select a chair based on essential functions and or employee stature. What chair accessories, “bells and whistles” do you really need? How to use our unique Chair Assessment Tool, Inventory Database and Dashboard. Ergonomic chairs are the most important asset in the workplace, aside from the computer contributing to employee productivity. It's time to recognize the value of ergonomic chairs and the people who use them as the most critical combined asset driving health and productivity in your workplace. Stop guessing at what chairs to buy, or when to replace them. End the Cycle of Chair Failures in Your Workplace, Now! This course is for you if you evaluate people who use ergonomic chairs; if you purchase or sell chairs; if you manage facilities; or you manage risk in the workplace. Eliminate Unsafe Chairs in the Workplace! Manage your Chairs as an Asset Before They Become Liabilities. Exercises to build your knowledge and practice in assessing ergonomic chair design. Instructional video and educational resources to validate and enhance learning. 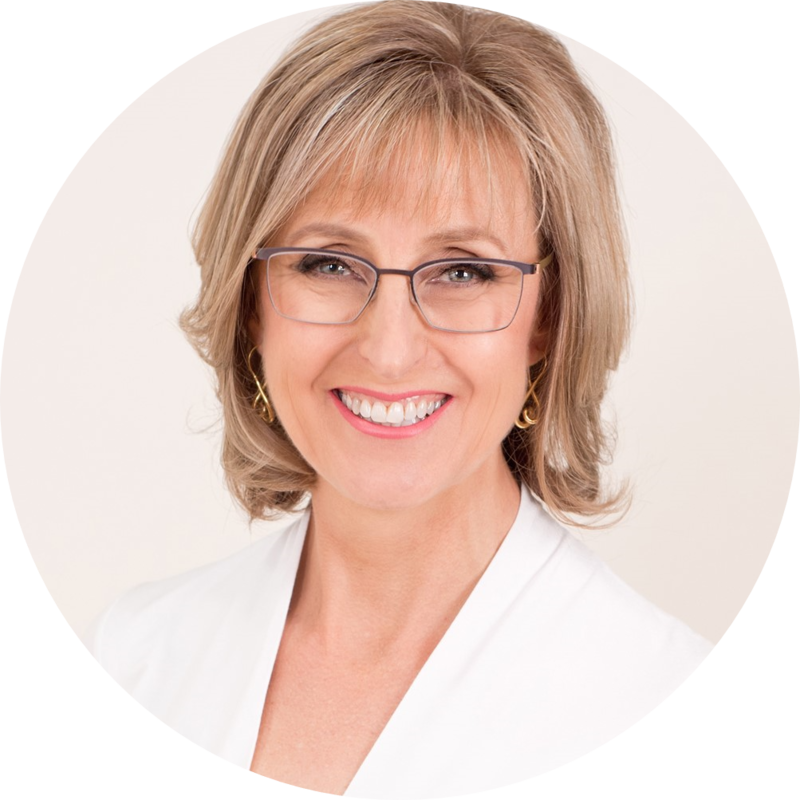 Two live small group coaching Q&A sessions with your instructor, Alison Heller-Ono MSPT, CDA, CASp, CIE, CPE. Access to our private Linked In group to share your thoughts and questions with your course colleagues. Upon successful completion of the course and exercises, you’ll receive your Certificate of Achievement in Chair Assessment. For just one payment of $497.00 or two payments of $279.00, you will gain control over your chair assets like never before and transform your organization, employee health and chair satisfaction, all critical aspects of a well workplace. At the end of the year, you can renew for $97.00 to extend your access to our latest Chair Assessment Resource library for ongoing support and upgrades to the Ergonomic Chair Assessment tools. This course makes it easy to select the right chair for each employee and immediately implement an effective chair maintenance program. Participants leave with the skills to immediately review all current office chairs, build a maintenance program and report on the cost benefits of either repairing or replacing current chairs. The Worksite International Chair Assessment Course is valuable for any business. The Chair Assessment Tool (CAT) and Chair Assessment System (CAS) should be considered essential for any employer looking to choose and maintain the best chairs for employee health, safety, comfort and productivity. Chair Assessment Training Intake Survey: What are Your Course Goals? Lesson 2: What is posture? There is no lesson 1 or 2 for Module 3. Proceed to Lesson 3. Lesson 3: What makes a chair ergonomic? Lesson 3: How to evaluate a chair using the Chair Assessment Tool (CAT). Chair Assessment Training Exit Survey: Before you go, let us know your thoughts! Enrollment is Limited to 15 Students and Ends May 7, 2019. Early Access Available! Start Managing Your Chair Assets Today! Full Course Begins May 8, 2019. Investing in our Chair Assessment Training will not only make you more chair aware. You'll have the tools you need to inventory and assess chairs for quality, competency and sustainability while reducing employee risk of seated work injuries! We offer two convenient ways to pay. Don't Risk Chair Failure! Sign Up Now! Is this course available at any time after I pay? Chair Assessment Training is an online, on-demand, self-paced, pre-recorded program focusing exclusively on ergonomic office chairs. Once you pay, you will have unlimited access to the resources and videos for one year. What forms and tools come with my enrollment? Your enrollment includes a license to use our Ergonomic Chair Assessment Software (CAS, Excel) which features our Chair Assessment Inventory Database and our Chair Assessment Tool (pdf). These will help you to determine whether to keep, repair or replace your chairs. You'll also receive a fillable chair standards guideline to help you with consistency in chair buying habits, so you don't wind up with a ton of bad, uncomfortable chairs! What if I have questions on how to use the Ergonomic Chair Assessment Tools? This course includes an instructional video explaining how to use the CAS; unlimited email and two live 60 minute Q&A small group coaching sessions with Alison Heller-Ono where you can ask questions and get the answers you need. We'll schedule this 2 weeks after enrollment opens for everyone. You'll also have access to our internal discussion feature and our private Linked In group to share your thoughts and questions with your course colleagues. Is there homework or exercises with this course? Each module includes exercises and homework designed to build your knowledge and practice in assessing ergonomic chair design and selection. To earn your Certificate of Achievement, you should submit your homework for review. We will review the assignments in the live coaching sessions and discuss solutions. What will I receive upon completion of the course? When you complete all four modules and the exercises within each module, you'll receive a Certificate of Achievement in Chair Assessment using the Worksite International Chair Assessment System. Does Alison recommend what chairs to buy in this training? Not specifically. We will discuss a variety of chairs and stools in this program but do not specifically endorse any products. Certain chairs are highlighted for their features and benefits. Chair videos and other educational resources are used to enhance your learning experience. Does this course teach me how to do a chair fitting also? No. If you want to learn how to do a prescriptive chair fitting, you will need to sign up for our Chair Fitting Class. If you want to learn chair assessment and fitting techniques, then we recommend you enroll in our Chair Assessment Specialist Masterclass. When you sign up for the Masterclass, you will automatically be enrolled in the Chair Fit Training and receive all the inclusive resources and forms to perform a chair fitting along with many other benefits. As an ergonomic consultant, this is the second class I've taken from Alison. This course included a lot of invaluable information for me, even after many years of working as an ergonomist! The Chair Assessment training gave me much more depth in my approach to chair ergonomics. Also, I always love Alison's inspiration and encouragement. Enroll in our Chair Assessment Training and Receive Our Chair Assessment Software Tools! Use our unique Chair Assessment Tool (CAT) to objectively evaluate individual chairs without bias. Our valid CAT is based on the 6 primary categories most important to determine chair safety, comfort and sustainability. Use our novel chair assessment inventory database to keep track of your chair fleet and determine which chairs to keep in circulation, repair or refurbish or remove before they cause harm to employees in the workplace. Use our dashboard to track critical patterns in chair comfort, sustainability and value to justify the purchase of new, quality chairs. Create a chair standards guideline or policy for your organization to define what chairs can be purchased and from which vendors for consistency in chair buying for an organizational approach. Create clear guidelines on when a chair fitting is recommended to assure the employees get the best fitting chair possible. Learn how to select the right chairs for your employees and the tasks they perform for reduced risk. Start Your Chair Assessment Training Now. What Else Do I Get When I Enroll in the Chair Assessment Training? How much support do I get with the Chair Assessment Training? We will have two small group coaching classes live on Zoom to support the Chair Assessment Training participants about 2 weeks after official enrollment begins. Then 2 weeks after that we will have another small group coaching class. These are interactive, discussion based classes where Alison will be available to answer your questions or bring to light important aspects contained in the course. Is there any one: one mentorship provided? No, not directly in this class. If you would like additional support, enroll in the Chair Assessment Masterclass where you will learn how to perform a chair fitting. 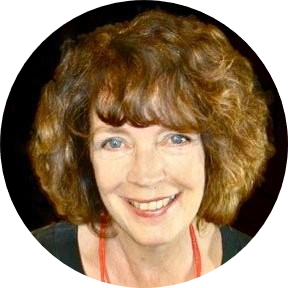 Alison will mentor you through your first 3 chair fittings with one: one coaching to make sure you fit and select the best chair possible and provide other support relevant to course curriculum. If I have a question, can I email Alison? You can email Alison at any time regarding anything course related. However, we encourage you to also ask questions in the private Linked In Chair Assessment Group we have to share with your colleagues. They likely have the same question or appreciate yours! And Alison will chime in the conversation too. Wait! Before you sign up.... would you like to be a Certified Chair Assessment Specialst (CASp)? Register for our Chair Assessment Specialist Masterclass which includes all the features of the Chair Assessment Training and Chair Fit Training. Enrollment is limited to the first 15 people who register. Alison Heller-Ono is a "pioneer" in the field of consulting ergonomics having started Worksite International, Inc. in 1993. Alison brings a unique perspective and approach to workplace ergonomics as a Board Certified Professional Ergonomist, Physical Therapist and Disability Analyst. You can read more about Alison at www.worksiteinternational.com. Copyright 2019 Worksite International, Inc. All rights reserved.